LONDON — One aardvark has died and four meerkats are missing after a fire broke out at a zoo in central London early Saturday. 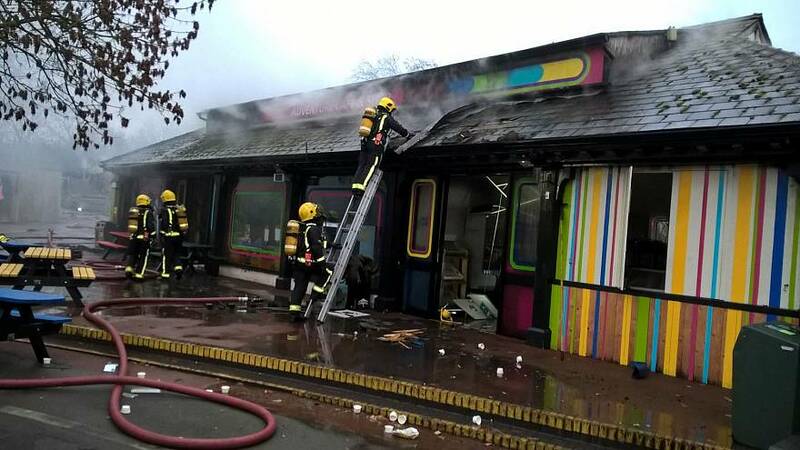 A number of staff at the ZSL London Zoo were also treated for smoke inhalation and shock after the blaze tore through the Animal Adventure area, a children's petting zone, zoo officials said in a statement published on its website. "Sadly our vets have confirmed the death of our nine-year-old aardvark, Misha," the zoo said. "There are also four meerkats unaccounted for at this stage, and we have limited access to site to confirm this." The zoo said the other animals were being closely monitored by its vets but appeared to not have been affected by the blaze, which broke out around 6 a.m. local time (1 a.m. ET) and was under control some three hours later. Security guards, along with zoo keepers who live on site, first responded to the fire, alerting authorities and moving the animals to safe locations within their enclosures, the zoo said. Ten fire engines and 72 firefighters attended the blaze which mainly affected the Animal Adventure café and shop before spreading to a nearby animal petting area, the London Fire Brigade said. According to a map of the zoo, the café is adjacent to the meerkat enclosure. "When they arrived our crews were faced with a very well developed fire. They worked incredibly hard in arduous conditions to bring it under control as quickly as possible and to stop it from spreading to neighbouring animal enclosures," Station Manager David George said. The fire was brought under control at about 9:16 a.m. local time (4:16 a.m. ET) and an investigation remained underway into its cause, the fire brigade said. The zoo will be closed Saturday.